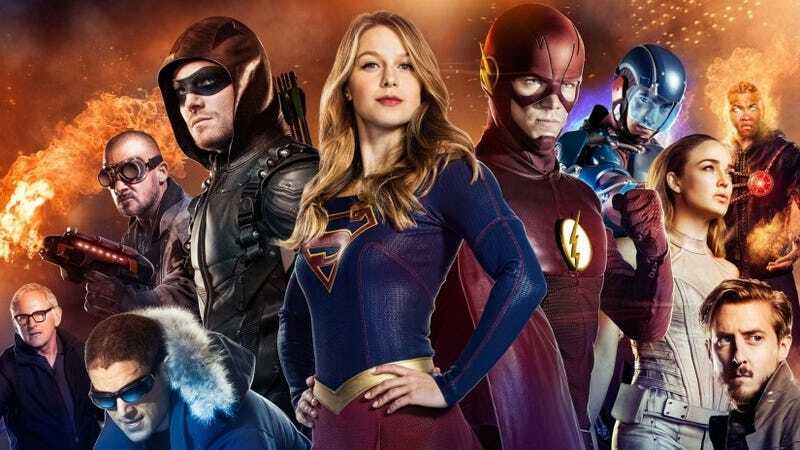 Ready for the Cheesy Insanity of the Arrowverse? ‘Cause I certainly am! In just a couple of weeks we get back to these amazing and often inconsistent shows, so be prepared, because the reactions are coming back and I hope everyone brings their snark back. Here’s the schedule, where I’m including Titans, even though I’m not sure if it’s ever gonna share a universe since it’s for the DC streaming service, which I’m also not sure I’m gonna get. I must confess I haven’t even finished the third season of Supergirl. Due to the illness and eventual death of a family member I was mostly not in the mood of watching TV. Things are better now, but the show apparently isn’t and I haven’t been wanting to watch the last 6 episodes or so. I’ll catch up and definitely put the reaction threads anyway. Meanwhile I can say that, should I rank the shows, Supergirl is competing for last spot with Arrow. Newcomer Black Lightning is a very close second place to Legends, which, praise Beebo, it won everything for me. It almost even won against ALL Superhero shows I watched that season. The Flash was mediocre fun, much better than season 3, not as good as season 1. What did you, Odeckers, think?